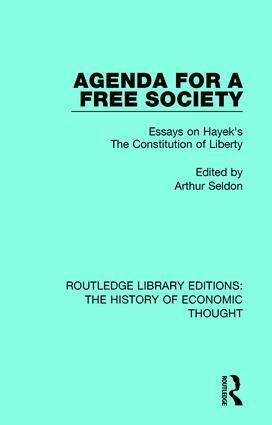 In this book, first published in 1961, under the general editorship of Arthur Seldon of the Institute of Economic Affairs, ten eminent writers, economists, philosophers, and a legal authority have set down their views on the principles and policies of a free society in a rapidly changing world. Each has developed his theme from the same material – Professor F. A. Hayek’s monumental work The Constitution of Liberty. This title will be of interest to students of history and economics.